This post contains affiliate links which means I will make a small commission if you purchase through those links.I only recommend the products that I know, trust and love. This is one of my favourite Indian desserts . Malpua / malpura is a a dessert famous across india, specially in the northern region . In Punjab it is made in all households to celebrate the onset of monsoons (Teej Festival). Various versions of malpua are also relished during the festival of Holi and Diwali in India . 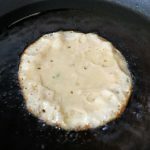 Traditionally, these are fried pancakes, made using fermented batter of all purpose flour and milk (even evaporated milk), and flavouring of fennel seeds, saffron or cardamom powder . Once fried ,these are then dipped in sugar syrup and served hot or cold on their own or with rabri. 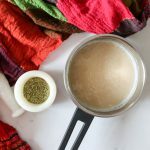 This version of Instant Malpua, is a healthier, but as tasty ,an alternative to the original rich version. Made using wholewheat flour and semolina, flavoured using fennel seeds, these are crisp on the edges and soft on the inside. 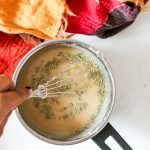 There is no need to ferment the batter, or add baking powder. I got this recipe from My mother in law. She cooks it quite often, and this is a sure shot recipe, which comes out as good always. 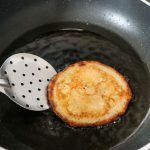 The only difference in my recipe from hers, is that she make it by deep frying, and i shallow fry the pan cakes. But believe me whatever style you use, these always are delectable. You would need milk, clotted cream /Malai (Optional), whole-wheat flour, semolina , fennel seeds , sugar, ghee (or oil for frying). The milk in my pictures looks off white because it has sugar mixed in it, and i use unrefined golden sugar that gives milk this colour. You can use any regular sugar that you use. 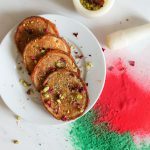 Chopped almonds, pistachios, fennel seeds ,rose petals, saffron strands can be used for garnishing. To make the batter, heat milk, and add sugar to it. Mix well so that the sugar is dissolved . Let it now come down to room temperature. In the meantime assemble rest of the ingredients- wholewheat flour, semolina, fennel seeds (slightly crushed or you can use whole). 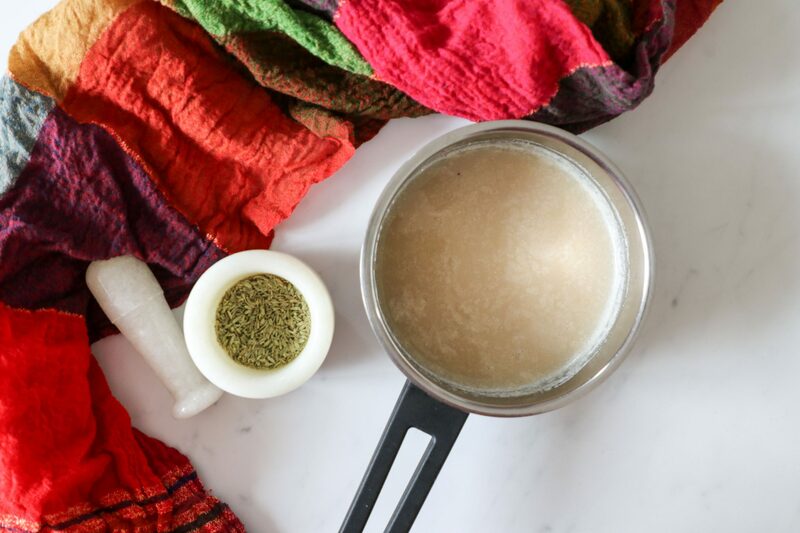 Once the milk is at room temperature, add the dry ingredients, and mix well. Your batter is ready.It should be Smooth flowing consistency, not watery and not thick lumps, more like the consistency of condensed milk. 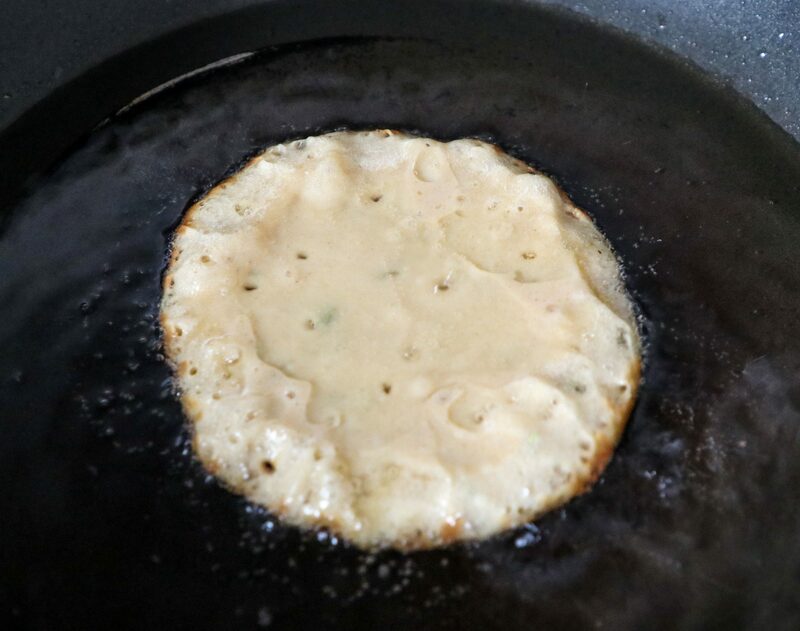 Heat ghee in a non stick pan. Make sure the hob is at medium heat. 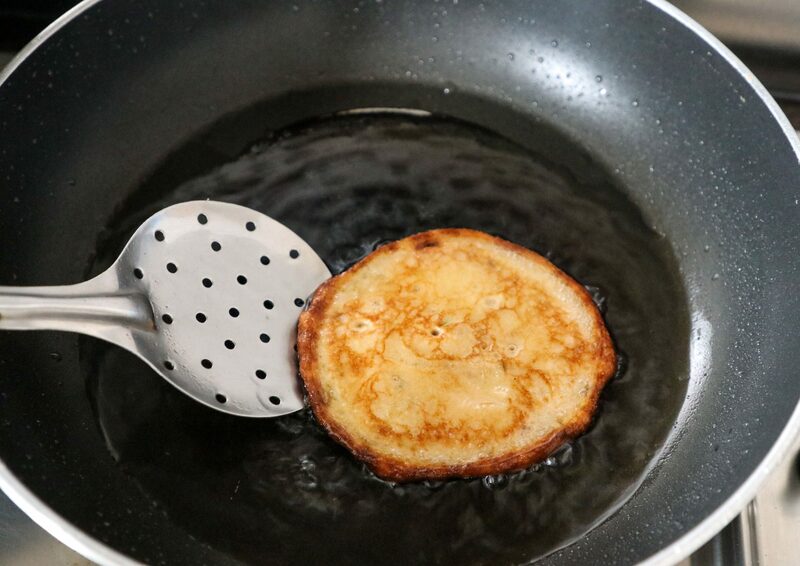 Now pour the batter in ghee with a ladle.Fry one side for 2-3 minutes, and turn over. Now heat the other side. Once done take these out. 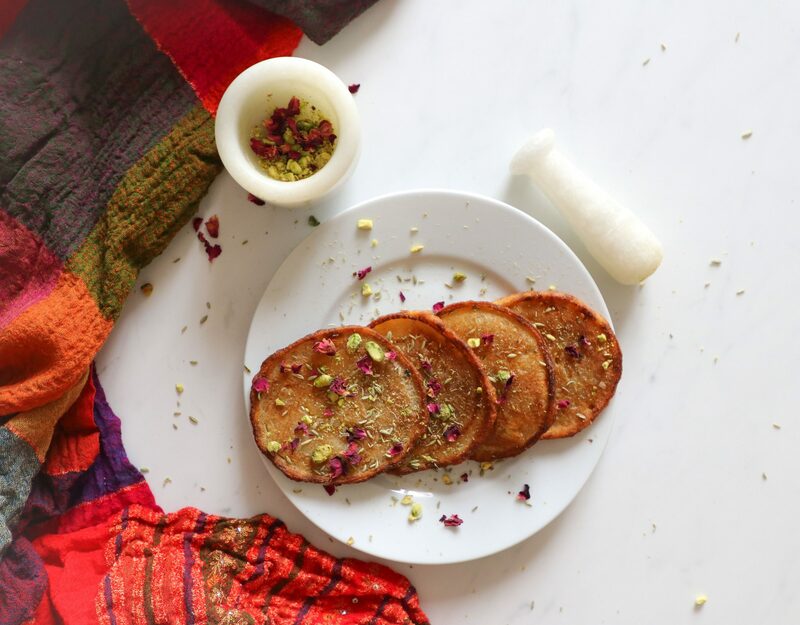 Garnish them with pistachios, and fennel seeds, and serve hot or cold. You can serve these with rabri .Find the Almond rabri recipe here. If you try this recipe, please rate it by clicking the stars below. And don’t forget to like , share the recipe and tag us on Instagram or Facebook using #frombowltosoul if you like the recipe.Please Comment below for any queries, suggestions and ideas .I would love to hear from you. 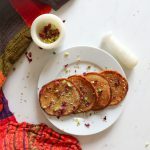 Instant Wholewheat malpuas- These soft and sweet ,melt in your mouth indian dessert , with fresh fennel seeds flavour is a must have in your dessert menu. Heat Milk, and add sugar. Keep aside to let it come to room temprature. Once the milk is cool, add the wholewheat flour, semolina, malai , and fennel seeds. 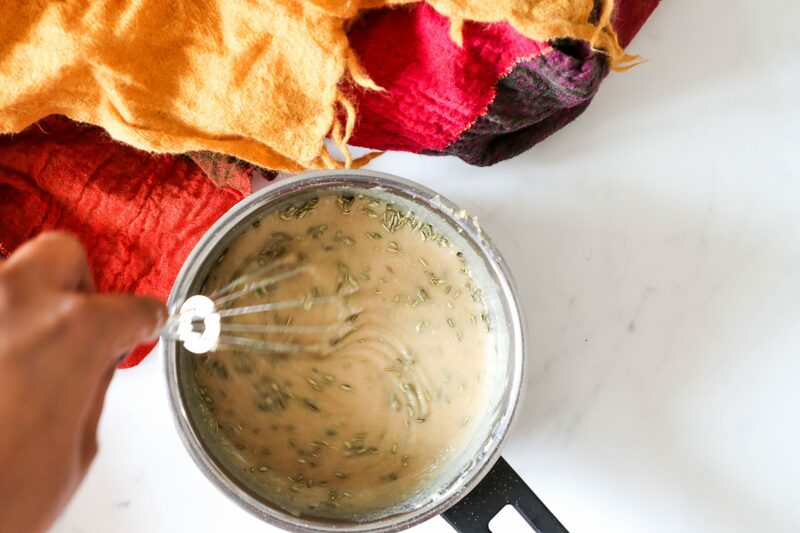 Mix well to make a thick batter. Add more flour or milk if the consistency needs to be adjusted. Heat ghee in a pan. Turn the heat to medium.Add a ladle full of batter, and let one side cook for 2-3 minutes. Turn over and fry another side. Fry all the malpuas. You can cool and store them wrapped in a foil in the fridge. These will keep good for a week. 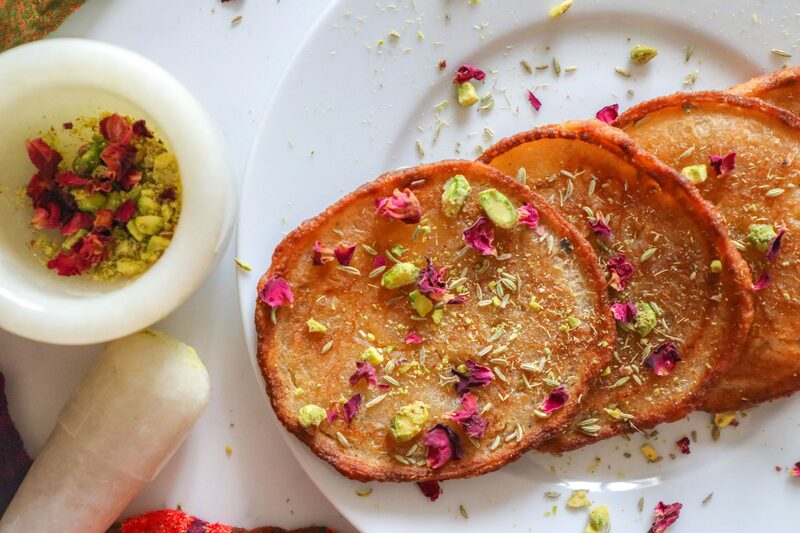 If serving hot, garnish these with fennel seeds, pistachios or almonds, and serve, with rabri or on its own. While cooking Malpuas are delicate, so you might need a spoon along with a spatula or tongs to turn them.